1. Keep your device from high temperature. Heat will cause your device battery capacity to degrade faster than any other factors. It is recommended to store and charge it in a cool environment. 2. Keep your battery from overcharging. Unplug charger when not in use. Even though modern Lithium ion batteries are equipped with a smart circuit that prevents the battery from overcharging, it is still advisable to unplug your charger from the power outlet. Doing such prevents possible accidents due to overheating; you are also contributing towards greener environment. Most chargers still consume power even if the device they are charging has been fully charged or disconnected. 3. Keep your battery from draining. Most devices have smart circuit in them that power off the device when the device has reached a certain battery threshold to prevent the battery from being totally drained. It is harmful for a battery to be totally discharged for a long period of time. Apple recommends that you must charge your device immediately after your has been fully discharged even if you are not planning to use it. 4. Frequent and shorter charges are better than a single deep charge. Charging some lithium ion batteries may increase the battery’s internal resistance which in turn reduces the battery’s current output. Moreover, performing a long deep charge places more stress on the battery than doing frequent short charges. Frequent short charges will not cause any harm to the battery. 5. Use tested and approved battery chargers. Charger is one of the most dangerous accessories a user can ever plug into his device. iLounge reviewed and rated some iDevice chargers as Category E or F for the accessory being harmful to the device or the user. Some users experienced explosion while their devices are being charged. Approved chargers follow approved standards and specifications regarding proper charge current and voltage. 6. Charge your device using correct voltage. Most chargers apply correct voltage to charge the battery without damaging any circuit component. Charging beyond the battery’s voltage specification has been proven to be fatal. According to a test performed at YouTube, applying a very low voltage did not charge the battery. After some time, the applied gradually increased causing the device to charge. After reaching a certain voltage, the device’s screen suddenly blacked out. The testers did not able to turn the device on successfully. This indicated damaged internal component. 7. Perform occasional charge cycles. 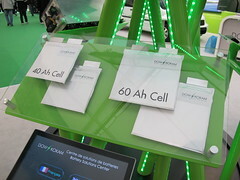 While a device is being used, its battery circuitry determines the battery’s remaining charge. It is also the one which determines whether the battery needs to be recharged or has been fully charged. After some time, the battery indicator may report remaining charge inaccurately. This may lead into shorter battery life than normal. This can be corrected by performing what so called a charge cycle. This is normally done once a month. This makes the battery charge reporting accurate. First, charge your device fully. When your battery has been fully charged, disconnect if from charger and use it until the battery runs out of charge without recharging. Care must be considered that the battery will not drain completely. As the battery charge level drops below 20%, reconnect the charger and charge it fully without any interruptions. Doing the method above will not increase charge capacity of the battery but will increase the accuracy of battery charge reported. Don’t do several charge cycles a month because doing such will may cause strain to the battery. Performing it once a month is just enough. 8. Replace your battery every two years or when the battery won’t hold sufficient charge. Every time you charge your battery, its ability to hold a charge diminishes slightly until it can’t be able to hold enough charge to power the device for a long time. When this happens, consider replacing your battery. Batteries usually have specific number of charge cycles before it can be able to hold 80% of its capacity. This time duration may become longer or shorter depending on how frequent you use your device and intensive you use your device. The more frequent and intensive you use your device, the sooner you need to replace your battery. 9. Minimize unnecessary use of your device and battery. Doing unnecessary use of charge in the battery wastes valuable and scarce charge cycles of the battery and energy. Turning off the device at night conserves more energy and charge cycle than putting it in sleep mode. Even though most devices drain its battery very little during sleep mode, some experience significant battery drop when they woke up. 10. Perform a charge cycle at least once a month whether or not you plan to use it. According to a website, a lithium ion battery performs best when its electrons keep moving occasionally. These batteries degrade over time regardless of how you use them. These batteries degrade in time whether you use it intensively or store it in a cabinet. If you don’t plan to use your device for a very long time, make sure to perform a charge cycle at least once a month. On the other hand, if you plan to keep your device always plugged or docked, iLounge recommends disconnecting it for it to use up its battery before plugging or docking it again. 11. If you carry a spare battery, rotate its use with current battery. The potential of the spare battery is not maximized if it sits doing nothing especially if its electrons in it don’t move occasionally. If this battery is not used, its battery capacity still degrades as the current battery degrades over time as the current battery. 12. Keep the battery from having short circuit or chemical leaks, exposing to fire, being punctured or improperly disposed. To prevent accidents, keep the contacts of the spare or current battery from touching each other. Things like paper clips and metallic objects may touch the connectors and cause short circuit. This may cause fire or explosion. If you see leaks coming out of the battery, discontinue its use and dispose it according to government regulations without touching any part of your body. If the chemical touches your skin, wash it with plenty of water and consult a doctor. Moreover, never puncture or expose a battery in fire. Doing so will result in explosion and injury. Do not also dispose a used battery improperly because its chemicals can pollute our surroundings and is harmful to our environment. Dispose it according to government rules. Doing such actions will not only make your device and battery last longer but it also contributes to the preservation of our environment. Recommendations are based from internet sources as well as opinions from forums. Posted on July 30, 2011, in Cool Stuff, Fun Facts, Safety, Tech Stuff, Tips and Tricks and tagged Batteries, Battery, Battery charger, Electronics and Electrical, Lithium-ion battery, Rechargeable battery. Bookmark the permalink. Leave a comment.